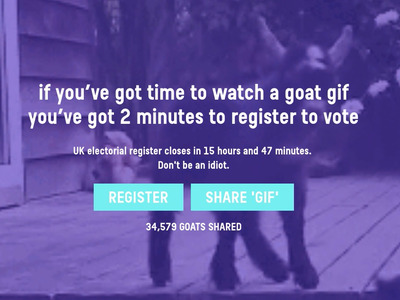 Facebook users are being tricked by goat gifs into registering to vote in the upcoming EU referendum. The website also features a countdown to the deadline to register to vote. You must sign up by midnight tonight if you want to vote in the June 23 referendum on EU membership. (REGISTER HERE). The idea is that people click on the gif and expect a funny video. But when you click on the expected gif, the user is hit with a serious message about voter registration. I stumbled across the site after I was duped by a friend on Facebook. 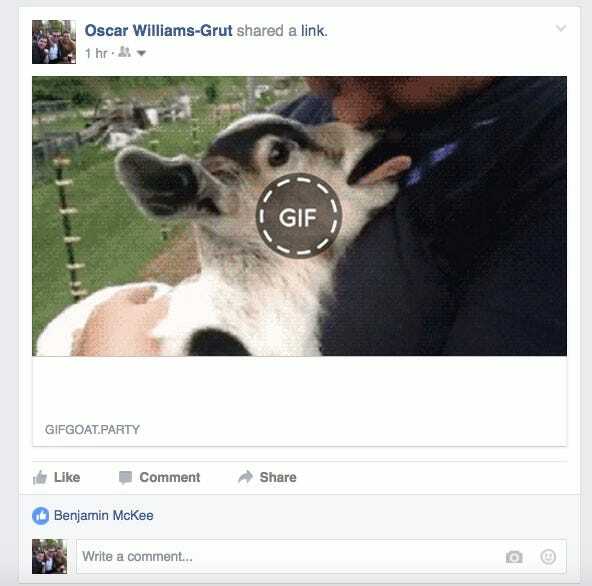 So far just over 35,000 goats have been shared according to the site. It’s unclear when the site first went live. 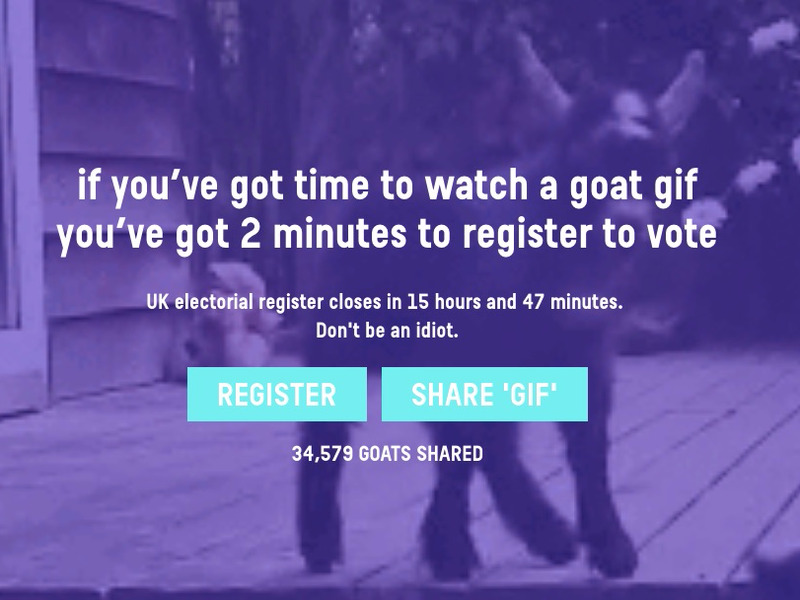 Gifgoat.party was created by four people according to the site, at least three of whom are at digital agency AKQA. The creators appear to be: Ben Silvertown, a graphic designer and digital media artist at AKQA; Snehil Bhushan, a digital producer at AKQA with a degree in computer science; Ryan Sherman, a creative at AKQA who has worked on accounts including Nike, Google, Red Bull, Starbucks, Booking.com, Converse, Nivea and Bacardi, according to his LinkedIn profile; and a fourth person called “Abo,” whose name links to this Twitter profile. Don’t forget to register to vote.